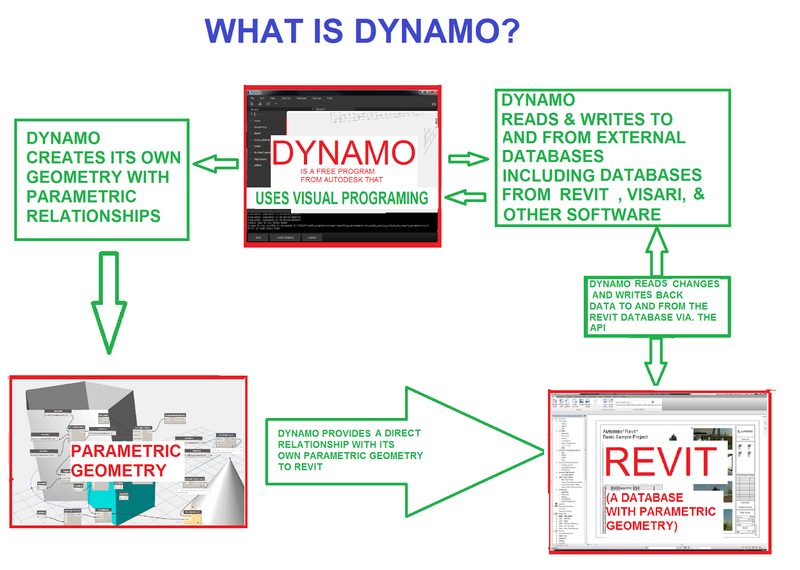 The Simply Complex Blog: WHAT IS DYNAMO? Dynamo is a free open source program from Autodesk that uses visual programming. Dynamo primarily does two tasks. Just about any Revit user could learn Dynamo (since it uses visual programming it is very simple to learn) they could access the Revit api and perform simple tasks that only could have previously been performed with writing an add-on or writing a macro with .net language for Revit. Oh and don't forget that Dynamo is completely free and is updated constantly. If you need the latest build or more information then click here and get started. So download it today and get in with the cool crowd. Still confused about what Dynamo is? its does not matter... you dont need to understand what Dynamo is to use it.. So for example one could make a new system family with Dynamo and use it within Revit?